Doug Chadwick is a writer of natural history based in Whitefish, Montana. His work has taken him all over the world to research books and articles about whales, grizzlies, ants and elephants. Six years ago, wanting to spend more time in the field – and less at the keyboard – he began working closer to home with the Glacier Wolverine Project. Though Doug never intended to write about the wolverine, as he learned more about its exploits and the threats this badass but vulnerable animal faces on a warming planet, he decided the best way to help it was to tell its story. His new book, The Wolverine Way, is both a tale of outdoor adventure and paean to one of “the toughest mammals in the world.” Published by Patagonia, it is now available in hardback on our website, in our stores and at other booksellers. Doug recently returned home from five days in the mountains, dragging a sled full of tracking and camping gear in pursuit of wolves and wolverines. We found him there and asked a few questions about the subject of his new book. There’s a story in your new book, The Wolverine Way, about an Alaskan gold miner who traps a wolverine, bashes in its head, and then, thinking it’s dead, ties its front legs over his shoulders to pack him out, only to find out the wolverine still had fight left in him. What, if anything, does that tell us about wolverines and man’s relationship with them? The tale is a reminder of how wolverines have been portrayed mainly as whirlwinds of destruction – something like big backwoods goblins on crack. That’s not to say wolverines don’t have a ferocious side. They are exceptionally strong and amazingly fearless. 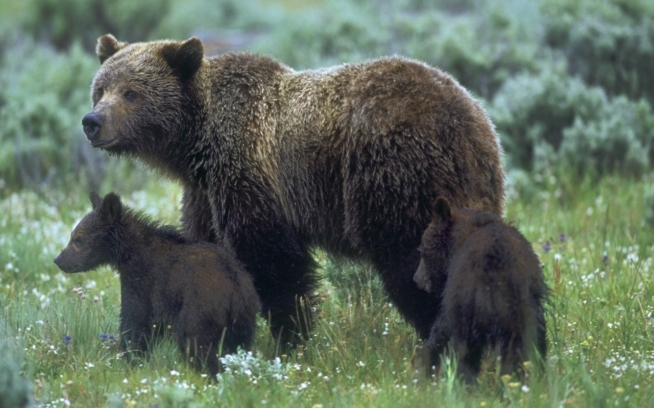 Can you think of any other 20- to 40-pound animal willing to try driving grizzlies off carcasses? I’d rank wolverines among the toughest mammals in the world. But as we finally begin to peel away the mysteries surrounding this species’ natural history, those frontier yarns featuring perpetually pissed-off, dangerous wolverines turn out to be … well, not complete b.s., but only one part of a much larger and more fascinating picture. You’re a writer of natural history with a background in field biology. But when you volunteered with the Glacier Wolverine Project in 2004, you had no intention of writing about wolverines – despite the promise of some great story material. What changed your mind? During the time I volunteered with the project, I was also traveling to report on snow leopards in central Asia, right whales in the sub-Antarctic, weaver ants in Australia, elephants in Thailand, the ecology of Southeast Alaska’s great coastal rainforest, and rhinos and tigers in Assam, among other magazine assignments. I loved each job. Nevertheless, the last thing I wanted to do back home in Montana, was continue being a journalist every day. Glacier National Park is my backyard. It may sound strange, but dragging bait to lay scent trails to wolverine capture sites, following paw prints while skiing through blizzards and dodging avalanches, radio-tracking the animals over summer passes and peaks … this was my vacation. Besides, the researchers really needed an extra hand. They didn’t have the money to hire enough people to keep up with their radioed subjects, not ones that cover vast, rugged territories as relentlessly as wolverines do. The challenge of trying to keep up long enough to discover more about these wildest of wild lives drew an extraordinary team of mountaineers and conservationists happy to help out for free. Being part of that crew was a reward in itself. Wolverines, I began to realize, are every bit as cool as wolves and grizzlies – and equally important as symbols of the last untamed places. Debates over better-known wildlife and protection of the homelands they depend upon seemed to be in the news almost daily. Meanwhile, wolverines were becoming rarer south of Canada than either wolves or grizz, yet hardly anyone was paying attention. The need to get wolverines on the public’s radar was largely what prompted me to start writing this book. Folks will work hard to save a species they care about, but they first have to be able to envision its life and needs. Since I had the privilege of getting acquainted with a number of individual wolverines and their offspring over half a dozen years, I decided that it was time to start sharing everything the animals and the researchers had been teaching me. Wolverines inhabit some of the world’s least hospitable terrain, and you guys spend days and nights out in sub-zero conditions trying to find them. It must be really taxing work. Can you describe one of your forays into the field and how you guys handle one of these tightly wound bundles of tooth and claw when you live-trap one? Fine snow streaked the air, riding sideways on a gale, in early March 2006. Biologist Rick Yates led the way, breaking trail on skis through the powder. Great cliffs striped with avalanche tracks rose on all sides. Somewhere higher up among the clouds stretched the icefields that gave this valley – Many Glacier – its name. We crossed two frozen lakes and finally passed into an old-growth spruce forest that took the edge off the storm. Beneath the branches, half-buried in snow, stood a large box made of logs six- to eight-inches thick. It looked a little like a scaled-down cabin. But it was a trap, and there was a wolverine inside. The animal had entered during the night. We knew from its radio frequency that this was M1: M for male, Number 1 because he had been the first wolverine caught and radio-tagged during a groundbreaking study of the species under-way here in Glacier National Park, Montana. Sometimes the researchers called him Piegan instead after a 9,220-foot mountain at the head of the valley. To me, he was Big Daddy, constantly patrolling a huge territory that straddled the Continental Divide near the heart of the park. His domain overlapped those of several females, and he had bred with at least three of them over the years while successfully keeping rivals at bay. We paused a short distance from the trap to listen. M1 was silent. Predictably, he began to give off warning growls as we drew nearer. They rumbled deep and long with a force that made you think a much larger predator lay waiting inside, something more on the order of a Siberian tiger – or possibly a velociraptor. I lifted the box’s heavy lid an inch or two to peer inside. The front wall underneath was freshly gouged and splintered, its logs growing thin under Big Daddy’s assault. Raising the lid another notch, I could finally make him out as a dense shadow toward the rear of the trap. Wolverines have dark brownish eyes, but in the light from my flashlight those orbs reflected an eerie blue-green color that glowed like plutonium, surrounded by the rising steam from his breath. The next things I saw were white claws and teeth and stringers of spit all flying at me with a roar before I dropped the lid shut and sprang back. Inside the trap, the roaring and growling continued – wolverine for “Hope you won’t be needing your face for anything, Tame Boy, because I’m going to take it off next time!” – followed by the sound of more wood being ripped apart. Given a few more hours, M1 would have an escape hole torn through the mini-log cabin. From time to time, the tips of his claws poked out just above the uppermost log of the front wall while he rammed his head against the lid. He was trying to shove the thing upward, though the ice-encrusted logs that formed the top of the box must have weighed 100 pounds. I looked round at the trees and the snow swirls beyond and shook my head, thinking of my long-ago vow to steer clear of these creatures. Having joined the Glacier Wolverine Project in 2004, I was going into my third straight year of breaking that vow in just about every way it could possibly be broken. No regrets. These animals’ off-the-charts strengths and survival skills had become a source of inspiration for me by now. Even so, I was never going to get used to dealing with the intensity of a wolverine when it’s up close and cornered. Nobody did. You said in your book that a male wolverine will wander 200-square miles or more, and do some crazy things along the way – like climb straight up the vertical face of a 10,000-plus-foot peak for no apparent reason. Their wandering sometimes gets them into trouble with hunters and trappers, and with increasing development and now climate change, the size of their habitat is expected to shrink. Does any animal really need that much space to survive? What exactly are they up to in their wanderings? Large as they are, the territories of Glacier’s wolverines are a fraction the size of those claimed by wolverines elsewhere. In the central Idaho wilderness, for instance, a female might claim an exclusive domain of 300-square miles and a male more than 400-square miles. 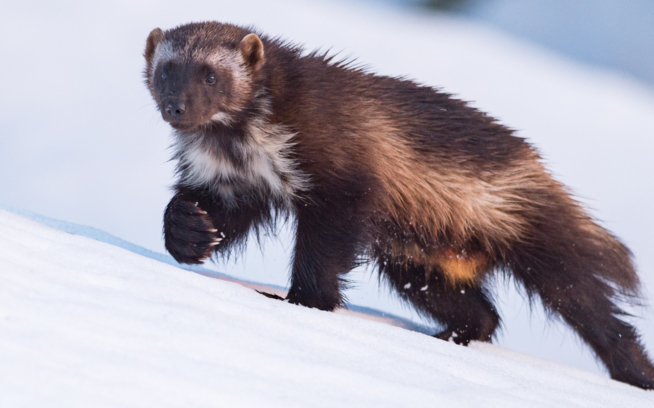 With long legs, big snowshoe paws, long claws for crampons, powerful muscles, a frost-shedding fur coat, and a revved-up metabolism, wolverines are able to master terrain too high, cold, steep, and snowbound for other predators and scavengers to use as easily. This frees the species from a lot of competition for food. Why do individual wolverines require so much of that harsh landscape for a territory? Because there is so little food in any one place. The same factors that discourage competitors also make prey animals relatively scarce compared to the numbers thriving in warmer, lower habitats. The wolverine strategy seems to be: if you’ve got a world-class nose and keep constantly on the move over a big enough area, you’re going to turn up something to eat. The key is not to be too concerned about whether what you find is a little ground squirrel, an injured deer, or the frozen carcass of a long-dead mountain goat. Although wolverines have been reported singlehandedly bringing down giant moose, they aren’t above making occasional meals of fish, frogs, ants, pine nuts, or berries as well. They often use the bite force generated by their formidable jaws to crunch up skeletal remains of prey left by larger carnivores. The wolverines aren’t just after the bone marrow. They make meals of the bones themselves. When it comes to survival, there’s tough and then there’s wolverine tough. The U.S. Fish & Wildlife Service has denied repeated attempts to list the wolverine as endangered, despite evidence of the animal’s declining numbers. And now it’s expected that climate change will make it a lot tougher for the wolverine. What evidence of the effects of climate change on wolverines have you seen? Is there anything that can be done to help ensure their survival? Virtually all the dens of wolverines discovered so far were dug deep into a snowpack that would last well into May. South of Canada, such conditions occur mainly at high altitudes, far up the slopes of mountain ranges in the West. Wolverines don’t hibernate. The dens are excavated by females, who give birth there in late February or early March to between one and four tiny, pure white kits. Growing rapidly on their mother’s milk, the babies remain in these hideaways for the two-and-a-half months. The multi-chambered snow caves insulate the youngsters and protect them from discovery by passing predators while mom – their furry furnace and defender – is off hunting. The lighter winters that result from warming conditions lead to thinner snowpacks, earlier melting in spring, and a shrinking amount of suitable denning habitat throughout much of the wolverine’s range. Easier winters also reduce the species’ advantages over competitors and prey less suited to handle extreme cold and snow depths. It looks as though wolverines won’t be able to adjust to hotter summers very well, either. If you map their whereabouts in North America, you won’t find populations where the average maximum daily temperature in August exceeds 70 degrees Fahrenheit. Like polar bears, wolverines are so closely tied to ice, snow, and cold that they are especially vulnerable to the impacts of a rapidly shifting climate. By the same token, they become important indicators of what may happen to the mountain goats, hoary marmots, pikas, and white-tailed ptarmigan that share their high country niche in the Lower 48, and to the fish and waterfowl in rivers that rely upon glaciers and snowfields to maintain their flows, and to the upland forests increasingly plagued by diseases and insect infestations associated with rising temperatures … In 1910, when Glacier National Park was established, it held 150 glaciers. The very last one is predicted to disappear within the next decade or two. To those of us who hike along the Great Divide, watching sheets of ancient blue ice shrink to muddy pools before our eyes, the wolverines are practically shouting: People! If only for the sake of your own future, quit dithering and find ways to turn down the goddamn thermostat! Now! Given what you know about wolverines and climate change, how would you rate their chances? 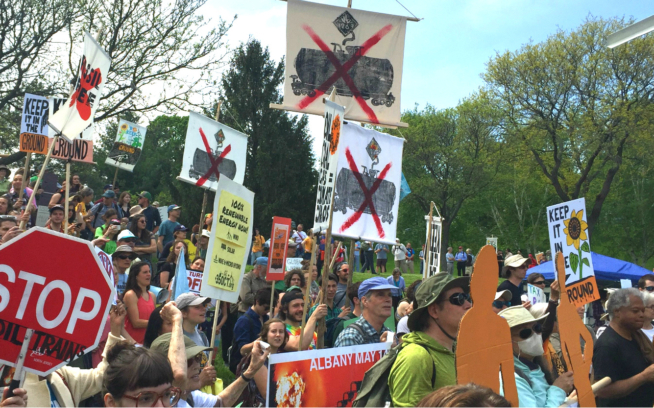 Although some call environmentalists gloom-and-doom types, I strongly disagree. Trying to shepherd hard-pressed species into the future is a job for spirited optimists. I don’t feel that I know enough to predict the specific effects of global warming on each region wolverines inhabit. I’m not sure anyone does yet. What I do know is that as long as some of these animals are able to hold on in cool habitats somewhere, a few will continue to find their way from one enclave to the next, reinvigorating isolated subpopulations and maintaining a sufficient flow of genes to avoid inbreeding over time. They will, that is, as long as there are intact corridors for them to travel. That’s a big if, given all the types of development and other human disturbances threatening to fragment such linkages. The mountains seem to shrink a thousand feet each time one of the fierce carnivore species that belongs among them vanishes. The landscape becomes mere topography – scenery on mood-suppressants. Personally, I can’t imagine wolverines giving up on something they set out to do, and I refuse to consider giving up on them. The main thing is for none of us to ever quit the task of safeguarding habitats and adequate corridors between them – particularly north-south wildways like the Rockies and Cascades that give untamed communities the best chance to adjust to ongoing climate change. Maintaining connections is the essence of nature and of our relationship with it. This goes by many names. One of them is Freedom to Roam. Doug Chadwick’s new book, The Wolverine Way, is available now at Patagonia.com and other booksellers. Would you like to help animals gain and maintain the freedom to roam? Does the idea of camping in the backcountry as a citizen naturalist sound appealing? Through Freedom to Roam’s new program Witness for Wildlife, you and your friends and family can take a camping trip into one of the many wildlife corridors in North America and share your field observations on the Witness for Wildlife Web site. You can see reports from the first few trips now, then visit Witness for Wildlife to join the growing community of citizen naturalists who believe in the idea of Freedom to Roam.